Walter William Bygraves was born in Rotherhithe, South-East London in 1922. His father Henry, a professional flyweight boxer, (Battling Tom Smith) and casual dockworker; and mother Lillian (née McDonnell) brought up their 9 children in a two-room council flat. Young Walter earned his pocket money dragging the River Thames for driftwood. At school, aged 13, he won a school talent contest, and as an altar boy made his first public appearance singing Handel’s Largo in Westminster Cathedral. Walter left school at 14, and worked for a short time as pageboy at the Savoy Hotel in London. Deemed too tall he was soon sacked and became a messenger for an advertising agency in Fleet Street. Eventually he became an apprentice joiner and by night the teenager earned extra cash singing in pubs. 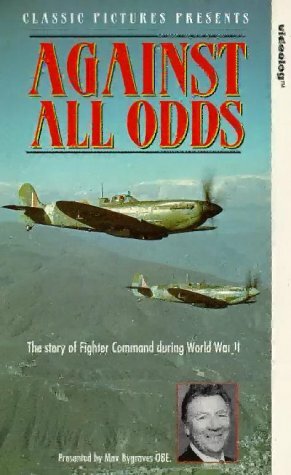 In World War II, he served in the RAF as a fitter maintaining Spitfires. He met his wife Gladys (known as Blossom) in 1941 and they were married a year later. He joined the camp’s entertainment section and after his popular impressions of “cheeky chappie” comic Max Miller, he was called Max. 'Max' Bygraves appeared in over he appeared in well over 1,000 RAF concert parties. When he was being demobbed Bygraves's commanding officer told him about auditions at the BBC for a show for ex-servicemen. He went along and got work, singing, telling jokes and doing impressions. He turned professional in 1946 and toured variety theatres throughout Britain and within three years he made his West End debut at the London Palladium. The London Palladium was then the world’s premier variety theatre, attracting the world’s top acts. His first appearance there was to deputise over three shows for the long-established Liverpudlian comic, Ted Ray, whilst still carrying out an engagement at the Finsbury Park Empire. Max seized his opportunity and impressed the great Val Parnell and was rewarded with seasons starring Abbott and Costello and then Donald Peers. In 1950, he was second on the bill to Judy Garland at the London Palladium. His appearance on the Palladium bill with Judy Garland led to an invitation to appear with her at the Palace Theatre, New York. Max opened there on his 29th birthday and went on tour America in 1950-52. As one of the first UK imports into the US from the world of variety since Harry Lauder, Max made a raft of friends amongst the top rank of American stars including Milton Berle, Clark Gable, Jack Benny, Jimmie Durante, and many other superstars of the time. Max Bygraves’ first appearance at a Royal Command variety show was before George VI in 1950. Popular entertainers with the Royals this was the first of seventeen further Royal Variety appearances. Meantime Max became an actor and made his acting debut in the British comedy, Bless ‘em all (1948). A year later he appeared in The Nitwits on Parade and Skimpy in the Navy. In 1951, he had a small part in Tom Brown's Schooldays with Robert Newton. Max Bygraves and Eric Sykes collaborated on the radio scripts for Educating Archie (BBC Light Entertainment) in which Bygraves played the tutor to Peter Brough's ventriloquist dummy Archie Andrews. The popular program went out Sunday lunchtimes and had an averaged 15 million listeners. The program was an ideal vehicle for Bygraves who coined catch-phrases like, "I've arrived, and to prove it, I'm here" and "That's a good idea ... son!". Further to take advantage of his new found fame he released songs from the show on the HMV label. "Cowpuncher's Cantata", was a medley of Bygraves' humorous interpretations of popular records of the time, including Frankie Laine's "Mule Train" and "Cry of the Wild Goose", "(Ghost) Riders in the Sky" and "Jezebel". The song was recorded at Abbey Road Studios, overseen by George Martin, and became a top ten hit in 1952. In 1953, a follow up single, (The Gang That Sang) Heart of My Heart also became a top ten hit. A year later he was back in the charts with Gilly, Gilly, Ossenfeffer, Katzenellen Bogen by the Sea. The song was recorded with a children’s chorus and orchestra was directed by Frank Cordell. It spent eight weeks on the charts. In 1955, Max reached Number 2 with his version of “Meet me on the corner”. In 1953, Max was back at the London Palladium in “Cinderella” with Julie Andrews as “Cinders”, and Richard Hearne (Mr Pastry). The next year he was in “Mother Goose”, with Shirley Eaton, Peter Sellers, and Richard Hearne as Dame. 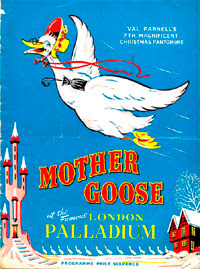 The script for this panto was written by Eric Sykes and Spike Milligan. In 1955, Max recorded a novelty record called "You're A Pink Toothbrush", co-written by Ralph Ruvin, Bob Halfin, Harold Irving and Johnny Sheridan. It did not chart but became so popular with children it was re-record in 1959 and has subsequently sold over three million copies. 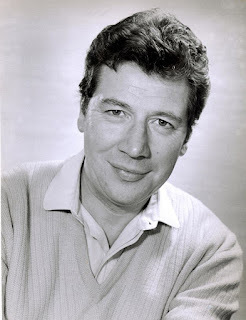 By 1956, Max Bygraves was earning £1,000 a week, (worth approx. £20,000 in today's money). He was busy acting and singing and appeared as the lead in the Guy Hamilton’s musical drama, Charley Moon. The following year he was back in the record charts with the double A side single, “You need hands and Tulips from Amsterdam. “You need hands” was written by Max Bygraves under the pseudonym of Roy Irwin and recorded by Edy Gorme (1958) who had a hit in the US. Much later the Malcolm McLaren included a version on The Great Rock 'n' Roll Swindle (album) in 1979. Max was back on the silver screen, this time playing the dramatic lead role in A Cry from the Streets (1958). Set in the slums of London he and co-star Barbara Murray played a pair of ingenuous social workers, who join forces to help a group of castoff orphan children. His performance was noted by Alfred Hitchcock, who offered Max a part in Frenzy (1972) but a variety date in Manchester proved impossible to shift and the part went to another actor. In 1957, Parnell and Bernard Delfont launched their major Palladium show We're Having a Ball, with Max Bygraves starring. In 1959. Max starred in the British comedy Bobbikins with Shirley Jones, then to finish the year he was back in the Top Ten with his version of Jingle Bell Rock . Now a millionaire, in 1960, he continued his successful recording career with yet another hit record, "Fings Ain't Wot They Used T' Be (#5) supported by the chorus from the (Scout) Gang Show. Max made a guest appearance in BBC’s Whack-O! before another movie in 1961, Spare The Rod. The film was based on a novel by Michael Croft and dealt with an idealistic schoolteacher coming to a tough area of East London to teach in a secondary modern school . It was a series drama tinged with humour and predated “To Sir with Love” and television’s comedy “Please Sir”. This was Max Bygraves' last feature film before he made the decision to channel his career towards light entertainment rather than acting. In 1961, he starred in a number of West End shows like ‘Do Ra Me’ which ran for eight months at the Prince of Wales. Many believed Max Bygraves was destined to become a dazzling West End star, but he felt constrained working to a fixed script preferring instead to work an audience. Despite many approaches to him and his agent it brought a negative response as Max clearly preferred to tour the theatres as a top of the bill act. Throughout the years he was happy to appear in a number of West End variety, revues and pantomimes like ‘Saturday Night at the London Palladium’, and ‘The Black and White Minstrel Show’. which catered for his singalong act. Although Max’s television performances had started in 1947 from Alexandra Palace it would be his stage, film and radio which brought him to the public’s attention. By the 60s, he had appeared as a guest on several television variety programs both in the UK and United States. These included Ed Sullivan, Jack Benny, and Jackie Gleason, in America. In the UK, Max starred in an ATV drama series called ‘It's Sad About Eddie’ (1964) in which he played a hapless songwriter who thinks he may have witnessed a murder. By 1972 he had his own variety series called Max with band leader Geoff Love. This success lead to ‘Max at the Royalty’, and ‘I Wanna sing you a story’and then ‘Singalongamax’. These programmes often attracted audiences in the region of 25 million apiece. Max started releasing a series of Sing along with Max albums featuring old standards. In total the Singalongamax albums sold over 6.5 million copies, earning him 31 gold discs. Max Bygraves had a reputation for being mean, and frugal he may have been but he certainly knew a bargain. After Lionel Bart got himself into financial hot water with failing shows , Max bought the past and future rights to the Lionel Bart musical Oliver! for £350. Then later sold them for £250,000. In 1982, he was back on ITV with a sketch show, Side by Side. A number of guest spots followed and then from 1983 to 1985, Max Bygraves hosted Family Fortunes, taking over from his friend and fellow comedian Bob Monkhouse. In 1987, he appeared as a guest on the Des O’Conner’s Chat Show, and Max did the voice over on a wartime documentary which paid tribute to the men and women of the RAF's Fighter Command. It was called Against the Odds (1994). His last TV appearance was Call up the stars in 1995. Max officially retired in 2003 and both he and Blossom Bygraves moved from Bournemouth to Queensland, Australia, in 2008. She passed away three years later and Matt who suffered senile dementia died in 2012 aged 89.